This is an Iambic Morse Code Paddle I built. 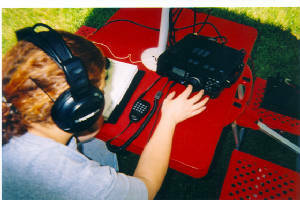 '05 JOTA, with me demonstrating PSK31 on 20 Meters. My wife (KC9EWJ) is working a station for Field Day. 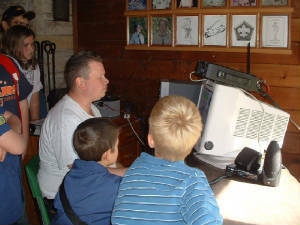 ARES is one of several organizations that provide communications for communities during emergancies. 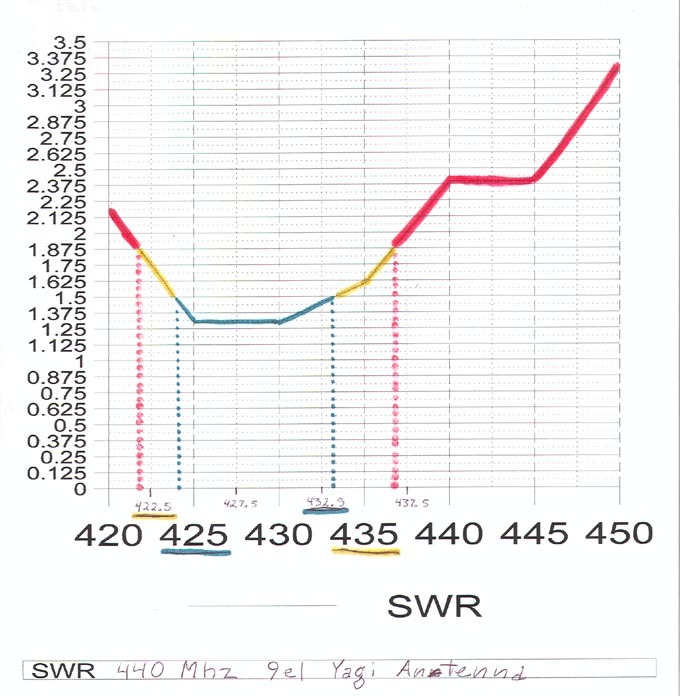 On the bottom of this graph shows the frequency range for this antenna, and on the side is the "SWR." SWR is for "Standing Wave Ratio," and is the ratio of forward to reflected power. Power reflected back from the Antenna can damage our radios. 1:1 or simply 1, is perfect, but can only be obtained in a lab. 1.5 : 1 or simply 1.5 or as high a 2 : 1 (2) is acceptable. Many modern radios will dectect high SWR, and automaticly foldback power to protect itself. 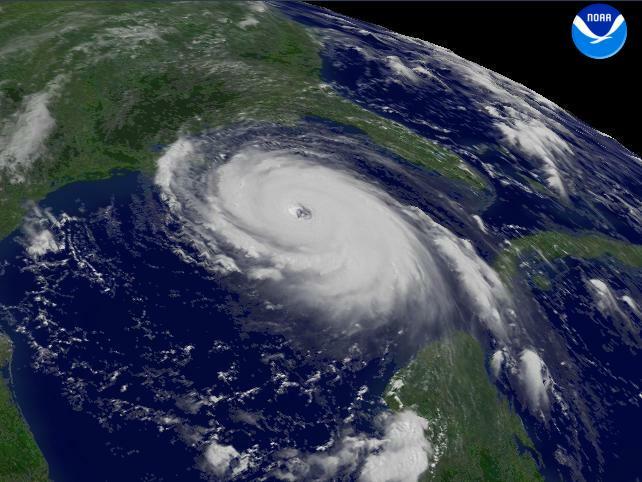 Hams help out during many disasters, such as Hurricanes, Earthquakes, Tornados, and Wild fires; just to name a few. 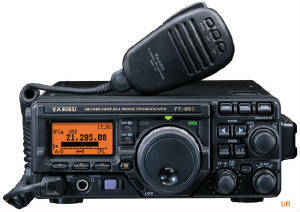 Ham Radio; Offers many modes, power levels, bands, and ways to use it. You can communicate across town, or around the world. There is something for everybody. 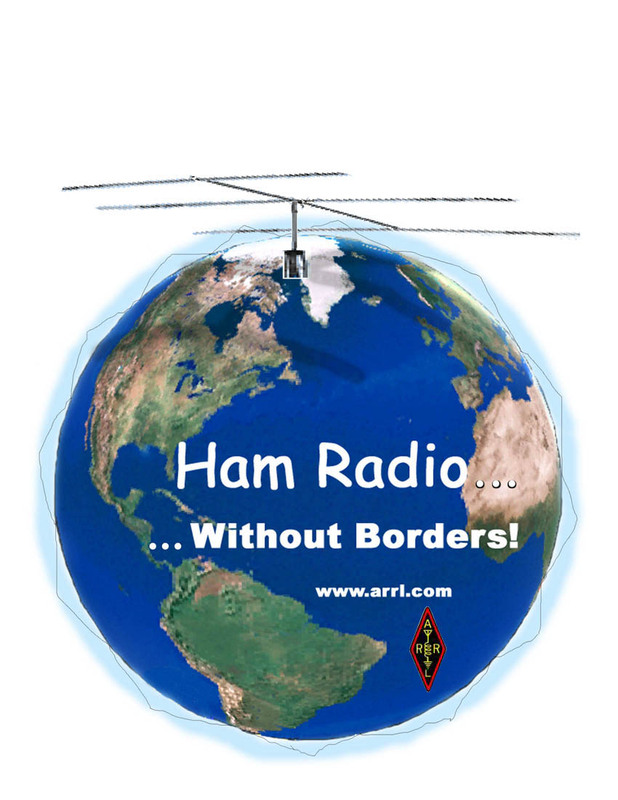 This is why we say "Ham Radio...without borders." 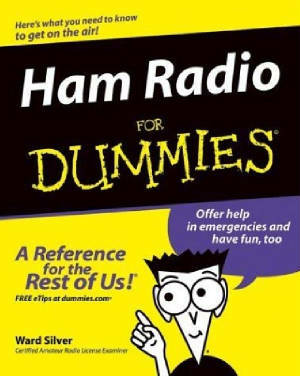 "Ham Radio for Dummies," is a good referance book, to find out many things about many aspects of Ham Radio. Explains, some of the basic "Who, What, When, Where, and Why," of this great hobby. There are many types of antenna, for many applications. The one in this picture is a 9 element hand-held yagi directional antenna for 70 centimeters. 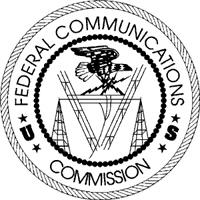 There are also other Yagi, Verticle, Discone, Cubical Quad, Beverage ( not a drink ), Dipoles, Inverted V's, and Log Periodic (like a roof-top TV antenna with many elements). Some radiate in all directions, while others radiate only in one.